You’ve already planned a delicious brunch to treat your mom on Sunday, but now what? Here’s a look at events happening in and around Chicago that will help round out your Mother’s Day plans. DJ, dancing and dining. Mom can get it all while cruising through Lake Michigan. 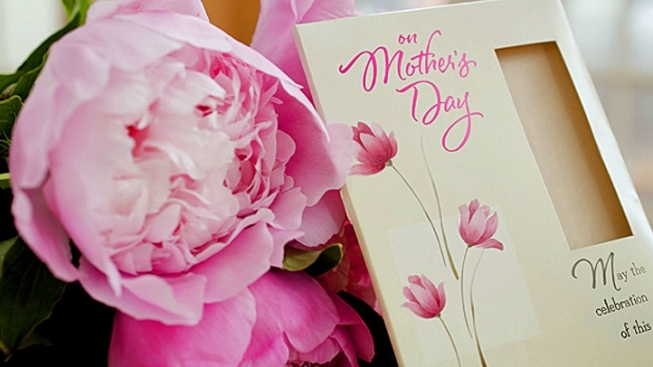 Spirit Cruises offers Mother’s Day brunch and dinner cruises. May 10, (200 Spring St., Barrington) at 8 a.m. Walk, or run, to burn off those brunch calories during this 5K. The course takes you through the “famously quaint” neighborhood streets of Barrington. Register online or on the day of the event. May 10, Grant Park(337 E. Randolph St., Chicago) at 8 a.m. Spend Mother’s Day raising awareness for breast cancer. Runners and walkers can register on the day of the race, or online. Make a candy craft for mom and satisfy your sweet tooth all at once. Admission ($35) includes a cupcake, decorating materials and a candy spree. After a violent storm shattered its glass roof, the Garfield Park Conservatory has fully reopened. The Sun Shower exhibit features more than 200 umbrellas that hang from the ceiling with hundreds of blooming flowers below. The last day of the exhibit is Mother's Day. Flowers are in full bloom at the Lincoln Park Conservatory. Mother's Day will be the last day for the Spring Flowers Show, which features azaleas that bloomed during the World’s Columbian Exposition of 1893. Fresh from its reopening, Green City Market’s outdoor site in Lincoln Park has something for every taste bud, including fruits, veggies, meats and handmade baked goods. Or take mom to the Beverly Farmers Market, which will open for the first time this season on Mother's Day. Both markets are open from 7 a.m. to 1 p.m.
8. Ballet: "Up & Down"
Spend the afternoon with mom at the ballet. Eifman Ballet presents the American debut of "Up & Down." The story follows a young psychiatrist in the 1920s, with music from composers Alban Berg, George Gershwin and Franz Schubert. Sunday’s show starts at 3 p.m.
Good news for nostalgic moms: The '70s will make a comeback this Sunday at the Music Box Theater. Dress in 1970s attire, and watch the film adaptation "Mamma Mia!" starring Meryl Streep. Celebrate Mother’s Day by congratulating the new mom at the Lincoln Park Zoo. The first baby snow monkey was born at the zoo’s new exhibit on Saturday. The newborn and mother can be seen at the Regenstein Macaque Forest exhibit. Bloody Mary’s, mimosas and horse racing. Arlington International has become a Mother’s Day tradition with crafts for kids and roses for moms. May 10, The Drake Hotel (140 E. Walton Pl., Chicago) from 11 a.m. to 5 p.m. Treat your mom to a tea party unlike any other. Reservations come with a facial, manicure or airbrush makeup to help mom feel and look extra special. Learn how to create a french pastry or a Capri-inspired meal with mom. Sur la Table has store locations in Chicago, Naperville and Skokie. May 10, U.S. Cellular Field (333 W. 35th St., Chicago) at 1:10 p.m. The White Sox play at home this Mother’s Day, which is perfect for moms who want to spend the afternoon at the ballpark. The Sox face the Cincinnati Reds. May 10, Soho House (113 N. Green St., Chicago) from 10 a.m. to 4 p.m. The market features more than 20 local vendors and cocktails. Admission is free and open to the public. Dose Market is held at a variety of venues on different dates and is known for bringing designers, chefs, bakers, entrepreneurs and artists together. The classic movie is the Mother's Day weekend special at Tivoli Theatre. Show times are Friday, May 8, at 4 p.m. and 7:30 p.m. and Saturday, May 9, and Sunday, May 10, at 12:30 p.m., 4 p.m. and 7:30 p.m. Admission costs $4 per person before 6 p.m. and $5 per person after 6 p.m.
Moms can get a small Rainbow Cone on the house (with purchase) at the Beverly ice cream shop this Sunday. The ice cream delicacy is made with chocolate, strawberry, Palmer House (New York vanilla with cherries and walnuts), pistachio and orange sherbet ice creams. The shop opens at noon. May 9, Le Pain Quotidien (135 N. Clinton St., Chicago) from 10:30 a.m. to 12:30 p.m.
Bake cookies with your mother on Saturday and enjoy them together on Mother's Day on Sunday. The class teaches kids how to decorate cookies for mom. The cost is $25 per child, and adult supervision is required. Spend quality time with mom in an eco-friendly fashion by creating a sculpture together out of reclaimed material that you can take home. The cost for two people to make one item is $20.